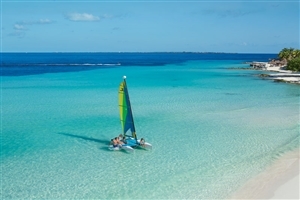 Located along 650 feet of soft, white sands belonging to Cancun’s privileged Hotel Zone, the Dreams Sands Cancun Resort & Spa offers travellers the chance to kick back and relax in peace and serenity. 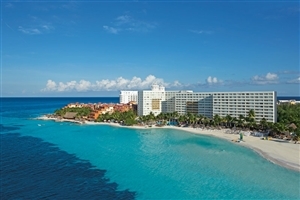 Looking out towards the beauty of the Isla Mujeres and in close proximity to various entertainment outlets, local eateries and lively nightlife hotspots, the hotel is ideal for those who want to indulge in the sights, sounds and spectacular culture of Cancun, starting and ending each day enveloped by splendour and comfort. 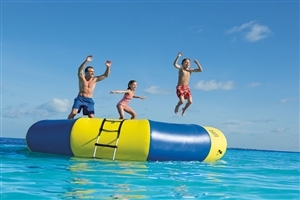 The hotel houses numerous dining venues and bars, all catering to the needs and tastes of each individual guest, while the soothing spa facilities ease adults into bliss as the kids have fun of their own. Each of the 441 elegant rooms are beautifully fitted with only the most lavish furnishings and amenities, setting the tone for a truly unforgettable stay in one of Mexico’s most luxurious hotels. 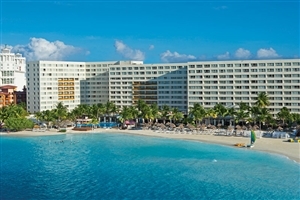 Situated atop a large stretch of soft, white sands leading to the beauty and majesty of the vast Caribbean Sea, the Dreams Sands Cancun Resort & Spa is a luxurious hotel and stands among the elite within the privileged sector of Cancun’s Hotel Zone. 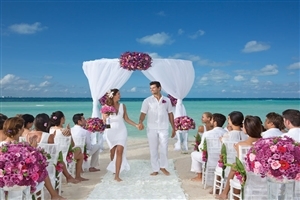 Offering spectacular views that stretch to the distance towards the Isla Mujeres, guests can enjoy relaxing in bliss or explore the surroundings, with the hotel in short distance of various local eateries, entertainment outlets and bustling nightlife areas, so no matter if it’s rest and relaxation they’re looking for or to immerse themselves on an adventure of the surroundings, guests are sure to find what they’re looking for in spades. The hotel itself houses plenty of dining venues, each with their own themes and tastes to suit even the most discerning of guests, while the 441 elegantly decorated rooms are all lavishly fitted with the most comfortable furnishings and high quality amenities around, assuring families, couples and business travellers alike that if it’s comfort and style they seek, this is just the place. 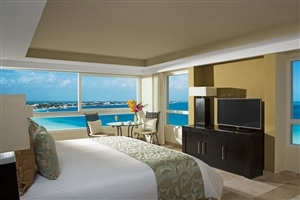 The Deluxe Partial Ocean View offers guests 33sqm of accommodation space that boasts contemporary Mexican decor ad contains plenty of high quality amenities and comfortable furnishings throughout. The room showcases partial views overlooking the ocean. 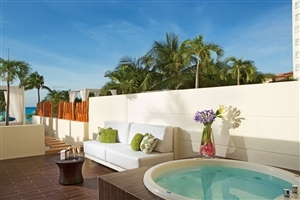 The Deluxe Partial Ocean View with Balcony offers guests 33sqm of accommodation space fully fitted with comfortable furnishings, quality amenities and adorned in modern Mexican decor. 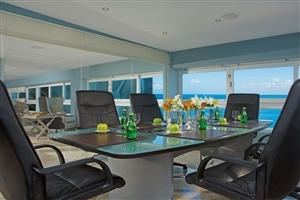 The room features and additional balcony with partial views overlooking the ocean. 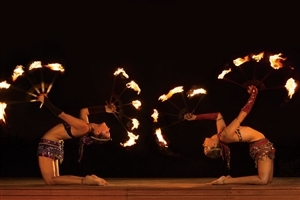 The Deluxe Ocean Front offers guests 33sqm of accommodation space fully fitted with high quality amenities, comfortable furnishings and elegantly surrounded by modern Mexican decor. 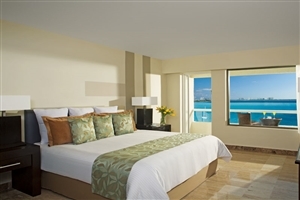 The beautiful room boasts amazing views of the ocean front for added luxury. The Deluxe Ocean Front with Balcony offers guests 33sqm of accommodation space filled with style and beautifully designed with modern Mexican overtones. The room is fully furnished with amenities and comforts as well as a fitted balcony that showcases unfettered views of the oceanfront. The Family Suite offers guests 68sqm of accommodation space that serves as an ideal hub for families or larger groups, consisting of two rooms put together for plenty of room. The generously spacious room is elegantly fitted with beautiful furnishings, two bathrooms, and boasts of partial ocean views. 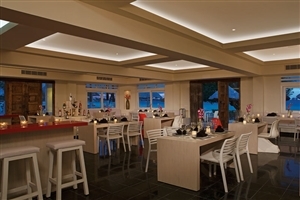 The Preferred Club Ocean Front offers guests 33sqm of accommodation space elegantly decorated with modern Mexican decor, fully fitted with comfortable furnishings and numerous quality amenities. 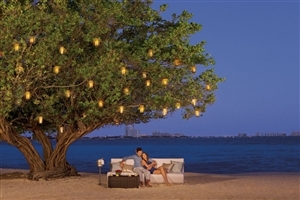 The room comes with views of the ocean front and grants guests with exclusive club privileges. 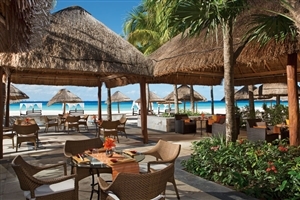 The Preferred Club Ocean Front with Balcony offers guests 33sqm of accommodation space in a sophisticated setting fully fitted with lavish furnishings and a number of high quality amenities all set to Mexican decor. 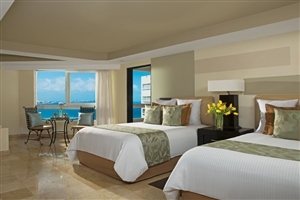 The spacious room comes with an additional balcony featuring views of the ocean front as well as granting guests exclusive club privileges. 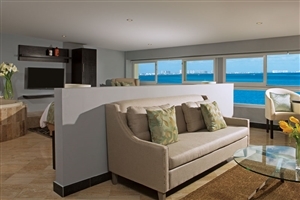 The Preferred Club Corner Suite Ocean Front offers guests 46sqm of accommodation space beautifully set out in a modern style, adorned with Mexican overtones to accompany the lavish furnishings and quality amenities. The abundantly spacious suite comes with a separate living room, dining area, and a private balcony fitted with a Jacuzzi. Additions come in the form of panoramic oceanfront views from all sides of the suite and grant guests exclusive club privileges. 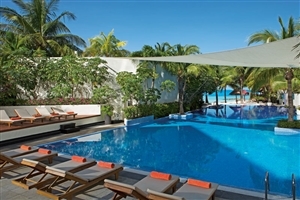 The Preferred Club Honeymoon Suite offers guests 45sqm of accommodation space hat sets the scene for an amazingly intimate holiday, with Mexican hints and influences adorning the walls, accompanied by stylish furnishings and quality amenities. 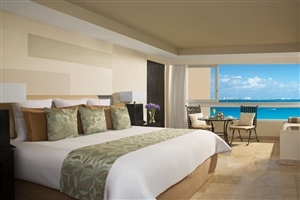 The exquisite suite contains a spacious seating area and a fitted balcony with luxurious Jacuzzi included along with spectacular oceanfront views while also granting guests exclusive club privileges. 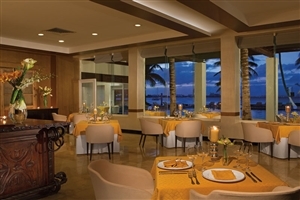 Waves & Sands – An adults only casual setting that serves up amazing international cuisine. 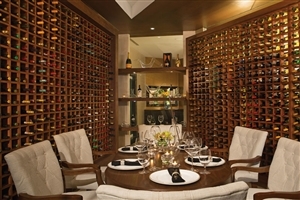 Bordeaux - Wine and dine in the hotel’s French Cuisine restaurant. 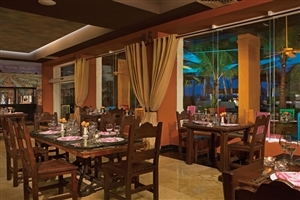 El Patio - Sample the heat and spices of Mexico in the El Patio restaurant. Himitsu - Refresh your palette with the pan-Asian eastern dishes served up in Himitsu. 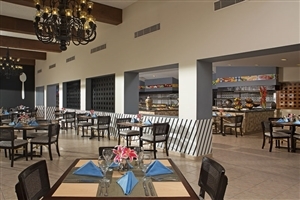 Jungle - Try the traditional local dishes in Jungle, the hotel’s Dominican-themed eatery. Olio – Try some international a la carte cuisine for lunch before sitting down for a delectable Mediterranean dinner in the evening. 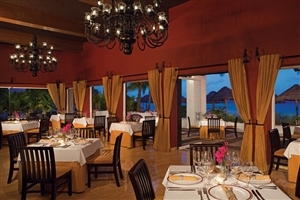 Portofino - Bring the taste of Italy to your dining experience at Portofino. 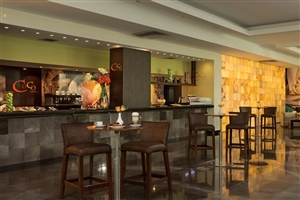 World Cafe - Grab whatever takes your fancy at this international buffet. Pizzeria - Pizza, pizza, and more pizza at this delicious pizzeria. 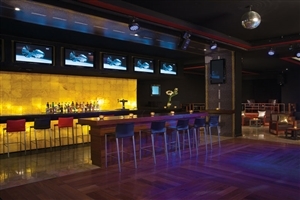 Sushi Bar – style and class suit the setting with light bites of sushi and sashimi fare. 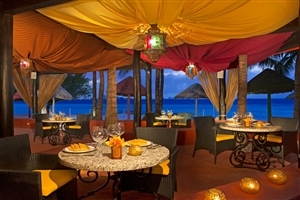 Barefoot Grill - Taste the splendour of grilled food at the Barefoot Grill. Coco Cafe - Sweets and treats are on the menu at the Coco Cafe.